Welcome to the Mississippi Genealogy & History Network providing free information to genealogists and historical researchers. To share your Mississippi genealogy or history information, send an email to msghn@outlook.com County - we will be pleased to include it here. If you have information to share for specific Mississippi Counties, visit that county's website and follow the links. Be sure to visit the county websites of interest to you. Adams County - Formed in 1799. County seat is Natchez. Alcorn County - Formed in 1870. County seat is Corinth. Benton County - Formed in 1870. County seat is Ashland. Bolivar County - Formed in 1836. County seats are Cleveland & Rosedale. Calhoun County - Formed in 1852. County seat is Pittsboro. Carroll County - Formed in 1833. County seats are Carrollton & Vaiden. Chickasaw County - Formed in 1836. County seats are Houston & Okolona. Choctaw County - Formed in 1833. County seat is Ackerman. Claiborne County - Formed in 1802. County seat is Port Gibson. Clarke County - Formed in 1833. County seat is Quitman. Clay County - Formed in 1871. County seat is West Point. Coahoma County - Formed in 1836. County seat is Clarksdale. Copiah County - Formed in 1823. County seat is Hazlehurst. Covington County - Formed in 1819. County seat is Collins. Desoto County - Formed in 1836. County seat is Hernando. Forrest County - Formed in 1906. County seat is Hattiesburg. Franklin County - Formed in 1809. County seat is Meadville. George County - Formed in 1910. County seat is Lucedale. Greene County - Formed in 1811. County seat is Leakesville. Grenada County - Formed in 1870. County seat is Grenada. Hancock County - Formed in 1812. County seat is Bay Saint Louis. Harrison County - Formed in 1841. County seats are Gulfport & Biloxi. Hinds County - Formed in 1821. County seats are Jackson & Raymond. Holmes County - Formed in 1833. County seat is Lexington. Humphreys County - Formed in 1918. County seat is Belzoni. Issaquena County - Formed in 1844. County seat is Mayersville. Itawamba County - Formed in 1836. County seat is Fulton. Jackson County - Formed in 1812. County seat is Pascagoula. Jasper County - Formed in 1833. County seats are Bay Springs & Paulding. Jefferson County - Formed in 1799. County seat is Fayette. Jefferson Davis County - Formed in 1906. County seat is Prentiss. Jones County - Formed in 1826. County seats are Laurel & Ellisville. Kemper County - Formed in 1833. County seat is De Kalb. Lafayette County - Formed in 1836. County seat is Oxford. Lamar County - Formed in 1904. County seat is Purvis. Lauderdale County - Formed in 1833. County seat is Meridian. Lawrence County - Formed in 1814. County seat is Monticello. Leake County - Formed in 1833. County seat is Carthage. Lee County - Formed in 1866. County seat is Tupelo. Leflore County - Formed in 1871. County seat is Greenwood. Lincoln County - Formed in 1870. County seat is Brookhaven. Lowndes County - Formed in 1830. County seat is Columbus. Madison County - Formed in 1828. County seat is Canton. Marion County - Formed in 1811. County seat is Columbia. Marshall County - Formed in 1836. County seat is Holly Springs. Monroe County - Formed in 1821. County seat is Aberdeen. Montgomery County - Formed in 1871. County seat is Winona. Neshoba County - Formed in 1833. County seat is Philadelphia. Newton County - Formed in 1836. County seat is Decatur. Noxubee County - Formed in 1833. County seat is Macon. Oktibbeha County - Formed in 1833. County seat is Starkville. Panola County - Formed in 1836. County seats are Batesville & Sardis. Pearl River County - Formed in 1890. County seat is Poplarville. Perry County - Formed in 1820. County seat is New Augusta. Pike County - Formed in 1815. County seat is Magnolia. Pontotoc County - Formed in 1836. County seat is Pontotoc. Prentiss County - Formed in 1870. County seat is Booneville. Quitman County - Formed in 1877. County seat is Marks. 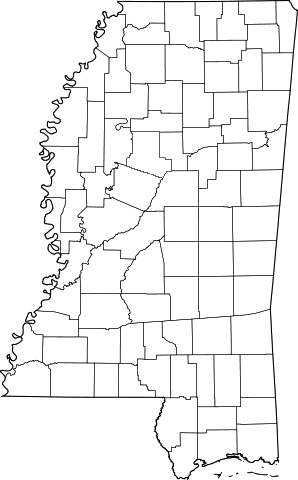 Rankin County - Formed in 1828. County seat is Brandon. Scott County - Formed in 1833. County seat is Forest. Sharkey County - Formed in 1876. County seat is Rolling Fork. Simpson County - Formed in 1824. County seat is Mendenhall. Smith County - Formed in 1833. County seat is Raleigh. Stone County - Formed in 1916. County seat is Wiggins. Sunflower County - Formed in 1844. County seat is Indianola. Tallahatchie County - Formed in 1833. County seats are Charleston & Sumner. Tate County - Formed in 1873. County seat is Senatobia. Tippah County - Formed in 1836. County seat is Ripley. Tishomingo County - Formed in 1836. County seat is Iuka. Tunica County - Formed in 1836. County seat is Tunica. Union County - Formed in 1870. County seat is New Albany. Walthall County - Formed in 1910. County seat is Tylertown. Warren County - Formed in 1809. County seat is Vicksburg. Washington County - Formed in 1827. County seat is Greenville. Wayne County - Formed in 1809. County seat is Waynesboro. Webster County - Formed in 1874. County seat is Walthall. Wilkinson County - Formed in 1802. County seat is Woodville. Winston County - Formed in 1833. County seat is Louisville. Yalobusha County - Formed in 1833. County seats are Water Valley & Coffeeville. Yazoo County - Formed in 1823. County seat is Yazoo City. Bainbridge County - Existed from 1823 thru 1824. Created from Covington County. In 1824 merged back into Covington County. Bourbon County - Existed from 1785 thru 1788. Land that is currently Adams and Wilkinson Counties. Colfax County - Existed from 1871 thru 1876. Created from Chickasaw, Lowndes, Monroe, & Oktibbeha in 1871. In 1876 the name was changed to Clay County. Davis County - Existed from 1865 thru 1869. Jones County changed its name to Davis in 1865. In 1869 the name was changed back to Jones County. Pickering County - Existed from 1799 thru 1802. In 1802, when Claiborne was formed from Pickering County, Pickering's name was changed to Jefferson County. Sumner County - Existed from 1874 thru 1882. Created from Montgomery, Chickasaw, Choctaw Counties in 1874, and part of Oktibbeha County in 1875. The name was changed to Webster County in 1882. The Mississippi Geneology & History Network has many records on our website. 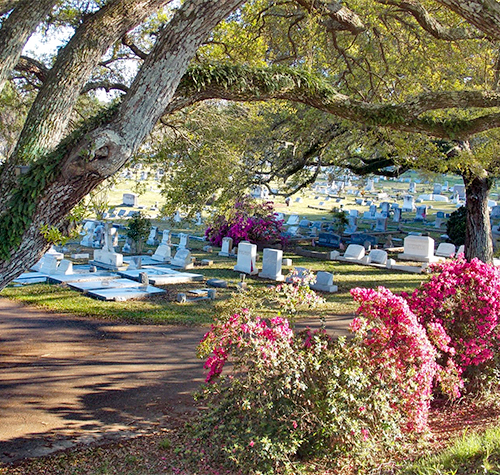 Marriage Records, Cemetery listings, tombstone photos, and more. Be sure to visit any and all county websites of interest to see what is available. Birth Records - The Mississippi Department of Health maintains records of births after November 1, 1912 on file. This was the year Mississippi began keeping official birth records. You can obtain official copies of birth certificates by mail by using this birth record application on their website. If you just have to order by internet or phone, or use a credit card, you can use VitalCheck, a third party records company recognized by the Mississippi Dept. of Health. Since there are no official birth records before November 1, 1912 for births prior to that date you will need to determine birth information from census records, bible records, baptismal records, cemetery tombstones, etc. Mississippi is located in the Deep South / Gulf Coast region of the United States. 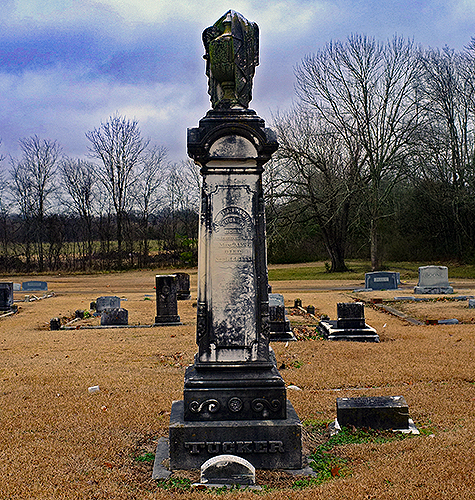 Common and not so common tombstone abbreviations seen in Mississippi cemeteries. Explaination of common and not so common tombstone symbols seen in Mississippi cemeteries.